Senate Democrats slowed down the chamber's processes on Monday in an attempt to highlight the GOP's efforts to draft up a bill to repeal and replace the Affordable Care Act behind closed doors. 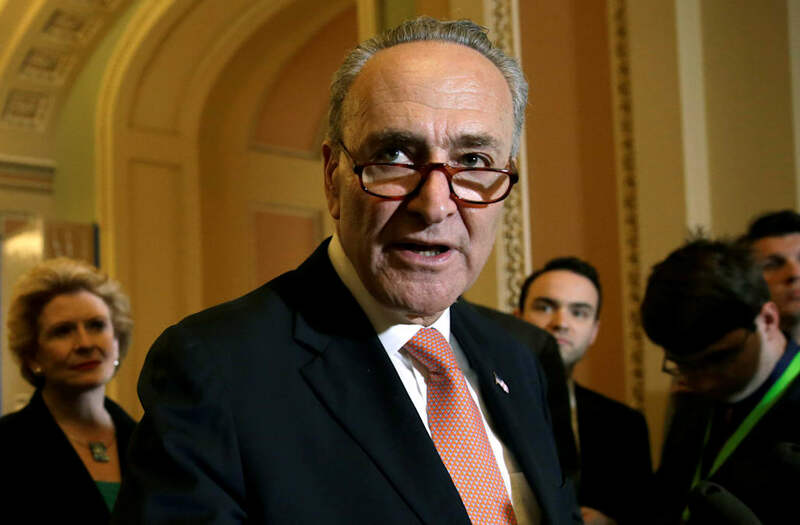 According to Reuters, Democrats slammed Republicans in a series of motions and speeches for holding private meetings to craft a replacement for Obamacare. They asked for the bill to be submitted to open committee hearings before it's subjected to a Senate vote, which Republicans say could come before the chamber's July 4 recess even though a draft has yet to be seen publicly. While Democrats do not have enough votes to block the proposal and their actions will likely not delay a vote on the Senate floor, the hope is that the Republicans will be forced to respond to allegations that they are trying to hide the contents of the bill. Liberals point to Senate Majority Leader Mitch McConnell's invocation of "Rule 14," which eliminates the committee review process, as an indication that GOP lawmakers are trying to rush the policy through, notes ThinkProgress. Part of the reason for the accelerated timeline may be because Republicans want to have a vote before the July 4 recess in order to pass a joint bill with the House that qualifies for an expedited process called Reconciliation—which must be done by September 30. Critics, meanwhile, are accusing Republicans of trying to pass bad legislation, with a New Republic piece stating, "It's clear that the bill—which is shaping up to be as disastrous as the House-passed American Health Care Act—won't be let out of the dungeon until the very last second to avoid scrutiny." Around 20 million Americans may lose their health coverage as a result. The New York Times says that even some Republicans have spoken out against the approach being used; GOP Senator Bob Corker of Tennessee has said, "The process is better if you do it in public, and that people get buy-in along the way and understand what's going on. Obviously, that's not the route that is being taken." However, McConnell has defended the process by saying, "Look, we've been dealing with this issue for seven years. It's not a new thing."